BBC 2015: Know Before You Go! Are you getting excited for Business Builder Conference yet? We are! Only 10 days until the big event—June 5-6! We can’t wait to meet you in Salt Lake City for a memorable weekend. Q: Where is the Hughes Center located? 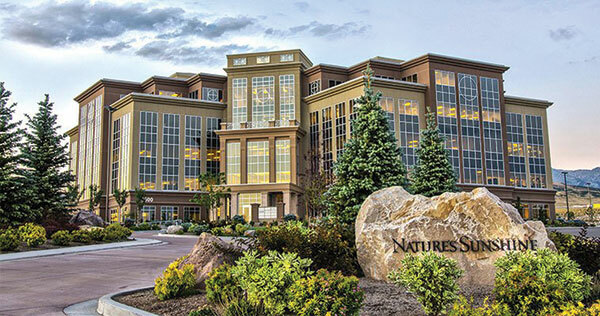 A: The Hughes Center is located at the Nature’s Sunshine Products corporate office in Lehi, Utah. The address is 2500 W. Executive Parkway, Lehi, Utah. Q: When and where do we meet for the tours? A: There are 4 scheduled times for the Hughes Center tours on Friday at 9:45 a.m., 11:15 a.m., 12:45 p.m., and 2:15 p.m. Please meet in the lobby at the Hilton Hotel. A Synergy staff member will direct you from the lobby to the bus that will take you to Lehi. The buses will depart at the times listed above. Please arrive at the lobby no less than 10 minutes before your bus departure time to register for the event. Registration tables will be set up so you can check in before you leave. If you aren’t able to check in before you leave, you can still check in upon your return. If you have your own car you may drive to the Hughes Center and meet your tour group there. Q: If I did not register for the tour, can I still join a tour group? A: Unfortunately, we cannot accommodate anyone who did not register for the tour ahead of time. If your name is not on the list, you will not be allowed to tour the facility. You will also not be able to change your tour time. Q: When can I check in to the event? A: Registration begins on Friday, June 5 from 9 a.m. to 6 p.m. and continues on Saturday, June 6 from 9 a.m. to 4 p.m. Check-in is located at the Hilton Hotel. Q: What is the dress code for the event? A: Business casual attire is acceptable for meetings on Friday night and Saturday during the day. For the recognition evening, wear formal attire–cocktail dresses for ladies, jackets and ties for men. Q: Will there be a Synergy store at the event? A: There will be a store onsite at the Hilton Hotel. Limited merchandise will be sold, but no product will be sold. Product will be available to order via order forms. Shipping will be free, but payments must be made using credit card only. Backdating will not be allowed. Q: Do you have to attend BBC to take advantage of event promotions? A: You must be a Team Member attending the Business Builder Conference to take advantage of product promotions. Returns will not be allowed. Final sale policy will apply to all product and merchandise. Q: Where is the Hilton Hotel located and what is the parking charge? Event parking is $5 per day up to 16 hours. If you are a guest at the hotel, overnight parking is $15 per 24 hours. Q: Will onsite registration be available? A: Yes, onsite registration is $65. However, Team Members who register onsite will not be provided with meals or training materials and will be unable to participate in raffles and giveaways. Also, space is limited and priority seating will be given to registered attendees. Q: What time will BBC meetings end each night? A: The event will end at approximately 8:30 p.m. on Friday, June 5, and at approximately 9 p.m. on Saturday, June 6. All of the current Synergy WorldWide Facebook pages are now connected under Synergy’s new global page at. Whether you live in Asia, Europe or North America, you will be able to find the Facebook feed you’re looking for under one URL. The global Facebook structure was designed to help international brands maintain a single fan page while localizing experiences for users around the world. Global pages have a unified Like count, but the profile image, cover photo, posts and language will differ by region. If you live in an area that has a regional Facebook page set up, you will automatically be directed to it when navigating the Synergy Facebook URL. For example, if you live in Rome, you will automatically be directed to Italy’s Facebook page, not the global page. If you live in a region that does not have a Facebook page set up, you will be directed to the global page. The global page will only post information that is pertinent to all regions. Want to see what’s happening in Synergy markets around the world? Go to the Synergy WorldWide Facebook page and click the icon located directly to the right of the “Share” button. Then click “Switch Region” in the dropdown menu. From there, you will be able to select the country’s Facebook page that you want to view. The country that you “save as a preference” will become the page that appears each time you visit Synergy’s Facebook page. If you haven’t already Liked the Synergy Facebook page, do it NOW to receive live updates from Synergy leadership and to become more involved in the Synergy family. Having this global page will allow us to bring our global fan base together. We are excited about this step forward in our social media marketing strategy as Synergy continues to expand and spread its message throughout the world. Interactive Health evaluates the physical health of employees in 2,000 companies throughout the United States each year. Synergy WorldWide employees, in conjunction with Nature’s Sunshine employees, are among those companies in the country. For the eighth year in a row, Interactive Health named Synergy and NSP among the Healthiest Companies in America in 2014. Less than 8% of the 2,000 companies tested received this title and only one other company in Interactive Health’s history has achieved this award for eight consecutive years. As a wellness company that values its consumers’ health above all else, Synergy WorldWide practices what it preaches. Synergy’s corporate family is composed of individuals who are constantly evaluating and improving their health. Recently, Synergy employees banded together to manage their weight with the SLMsmart system and succeeded. Each year, employees engage in a variety of company programs that keep them active and aware of their diet choices. In addition, Synergy products are an integral part of employees’ daily routines and are recognized as a cornerstone of optimal health. Healthy employees create a strong, productive workforce. Synergy WorldWide aims to set an example of health and leave a legacy in this capacity. Upon meeting 70-year-old John McDermott, you may learn that he is a Synergy Team Member and that he is of Irish descent. What you may not guess, though, is that John can probably run faster than you. He currently holds several Ireland and United Kingdom track and field records in events ranging from the 200-meter dash to the 300-meter hurdles to the decathlon. These records were not achieved 50 years ago as you may have assumed. These records were set in the last few years. Last year, John added international medals to his growing list of accomplishments including a gold medal in the 300-meter hurdles, a silver medal in the 400-meter hurdles, and a bronze medal in the decathlon at the World Indoor Championships in Budapest. 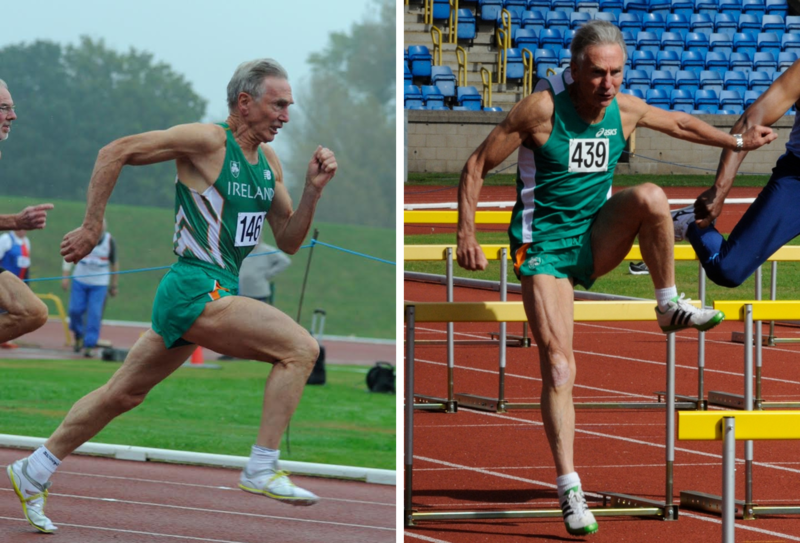 He competes against other Master Athletes in his 70-74 age range and is among the best runners of his age group in the world. Out of all the products in the world he could use to sustain his athletic stamina John loves and relies on Synergy’s V3 System—ProArgi-9+, Mistify and Phytolife. “For Master Athletes, health and wellness is more of an issue than it is for younger athletes. Luck and genes are of course a major factor in keeping fit and injury-free and I appreciate how lucky I am to be able to do what I do,” he said. However, in addition to luck, it takes an extreme passion for the sport and long hours of training to maintain John’s athletic endurance at the elite level. Because of this, John trusts Synergy’s V3 System to help maximize his training efforts. “I truly believe Synergy’s V3 products contribute significantly to my nutrition, performance levels and overall wellness. My diet and training routine is helping me beat competitors who were faster than me a few years ago,” he said. This year, he is ready to take on the World Masters Championships in Lyon, France, where he will be competing in the decathlon, the 300-meter hurdles, and the 400-meter dash. On Monday, May 25, 2015, Synergy WorldWide headquarters and the corporate store will be closed in commemoration of Memorial Day. Customer Service will also be closed on Memorial Day, however, you may still place orders through Pulse. Please direct any urgent questions or concerns to Customer Service before the holiday at (801) 769-7800. Normal business hours—Monday to Thursday from 8 a.m. to 8 p.m. and Firday from 8 a.m. to 6 p.m.—will resume on Tuesday, May 26. 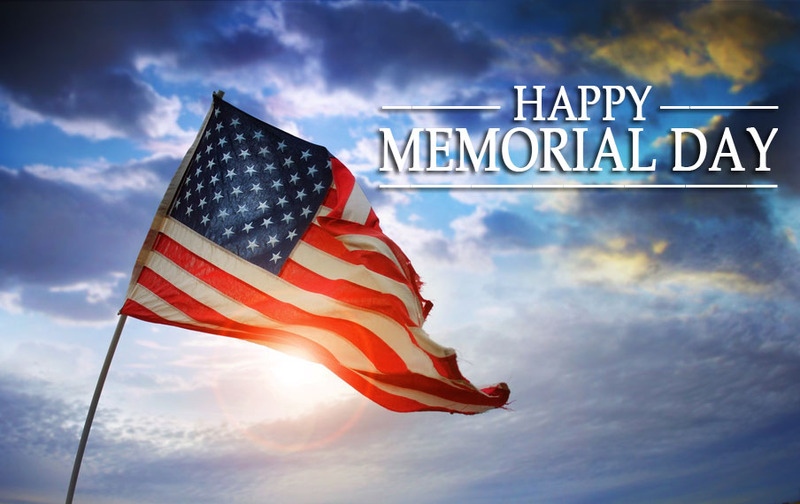 We wish all of you a safe and enjoyable Memorial Day weekend! Chocolate SLMsmart Available for Purchase! 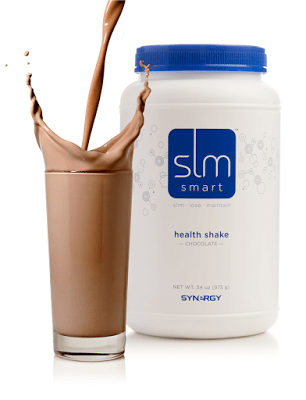 Since Synergy WorldWide officially announced that SLMsmart Health Shake was coming to you in chocolate, a special group of distributors and customers have been putting this delicious protein mix to the test in the SLMsmart 90-day Challenge. Now that the challenge has officially ended and weight goals have been met with jaw-dropping results, we’re making chocolate SLMsmart available for purchase in the U.S. Both the vanilla and chocolate flavors are yours for the drinking! Discover the happiness that comes with satisfying your chocolate cravings in a complete, nutrient-fortified meal replacement. You will not only be surprised by chocolate SLMsmart’s rich, decadent taste, you’ll watch your body transform into a healthier you. It’s chocolate that loves you back! Treat yourself to chocolate and balanced health. Visit our shopping site to order! Congratulations to the following Team Members throughout the United States and Canada. We look forward to your continued triumphs this year. Dr. Charina Holmes DC, Inc.
Kjell Tore Solvang coached Norway’s national rowing team and led them to win three Olympic gold medals, four World Championship gold medals and four European Championship gold medals. 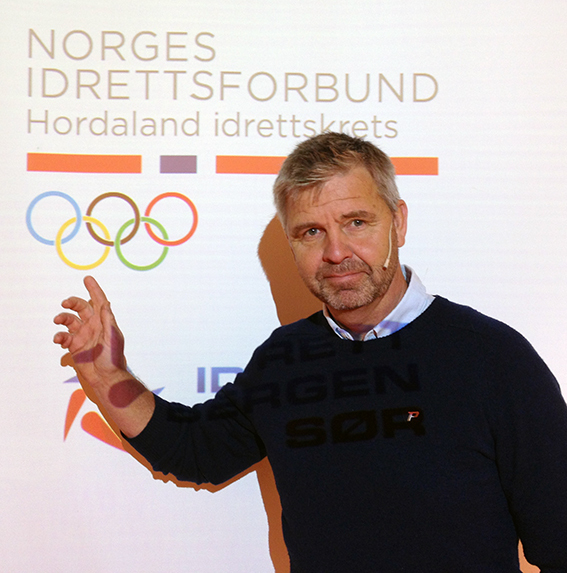 He is Norway’s most successful coach in summer sports. Working in a culture with world-champion endurance athletes, Kjell understands that there are few limits to what the body can do. He believes that if you want to accomplish an amazing physical feat you simply need to train hard and never stop training. It’s all about priorities. Though he has lead rowing teams to victory time and time again, he believes there is still more to achieve. This is why on May 2, 2015, just a few days ago, Kjell embarked on the most exhausting and trying excursion of his life. Kjell will spend the next four months rowing 10-12 hours per day, taking himself around the Norwegian Coastline from the Swedish coast to the Russian border. This is, undoubtedly, a painstaking task, but Kjell has an additional motive to complete the journey: raising money for children suffering from brain tumors. He’ll fish for food, sleep in his boat or in a tent on the shore, and have a constant supply of Synergy product—ProArgi-9+, Mistify, Phytolife and e9—to fuel his endurance. His journey will be followed and broadcast on one of Norway’s biggest television stations. Synergy WorldWide will follow Kjell’s odyssey through the summer, cheering him on from Utah’s corporate office and around the world. The Sahara Desert is one of the most inhospitable places on earth. Beneath the scorching Moroccan sun, temperatures regularly soar above 50 degrees C. It is here, pelted by wind-whipped sands while fending off thirst and fatigue, that champions are forged in the seven-day, 256km Marathon des Sables. For the past 28 years, ultra-runners have flocked to this desolate landscape, eager to take on what’s known as “the toughest footrace in the world”. This year’s event found Synergy customer Grégoire Chevignard among its racers, a place he would have never envisioned himself a few years prior. He relied heavily on Synergy products to fuel him through his journey and finished the race strong sporting a Synergy-branded T-shirt and a smile of relief. Grégoire would be the first to tell you that he is not a professional athlete. He has a regular, full-time job and a busy home life in Paris with his wife and three children. His racing experience began relatively modestly. After a 19 year hiatus from finishing his first and only marathon, he and his brothers signed up for a 10K as a family bet. Their terrible finishing times only fueled their competitive spirit; they immediately signed up for the Paris Marathon in April of 2014, giving them six months to train for the event. As the event approached, Grégoire felt doubt creeping in, but instead of cancelling his entry he successfully diverted his pre-marathon panic by signing up for an even tougher race after the Paris Marathon. Now he would be worried about his 63K trail race the next month, which made the impending marathon seem like a much milder challenge. And thus his love for running began. In the past year, he has tackled more than a dozen races of varying distances (anywhere from 10K – 105K). Synergy products at a time when he knew little about training with nutritional supplements, but since Mathilde taught him to use the products he said they’ve made a substantial difference in his performance. In his early running days, Grégoire raced on an empty stomach after experiencing many upset stomachs from traditional breakfast foods. While this cured the stomach pains, he was left with little energy. Now, mile after mile, he relies on SLMsmart Meal Replacement as his go-to racing fuel and as a recovery shake. 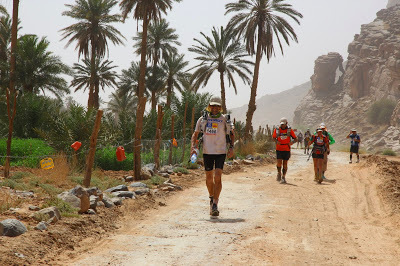 One of the biggest challenges Marathon des Sables racers face is the issue of food and nutrition. Since runners are expected to be self-sufficient and pack in all of the food they will need for the seven-day race, Gregoire knew he needed a lightweight, portable, and nutritionally dense food. He packed enough SLMsmart for two servings per day, one to drink prior to racing in the morning and one post-race to support his starved muscles. “It showed in the rankings that while most racers’ speeds dwindled day after day, I had the energy to maintain mine,” he said. While many may view the 256K Marathon des Sables as a daunting challenge just shy of pure insanity, to Grégoire, this was just another race.